As you arrive at Jaipur airport/Railway Station you will be transferred to Ranthambore. 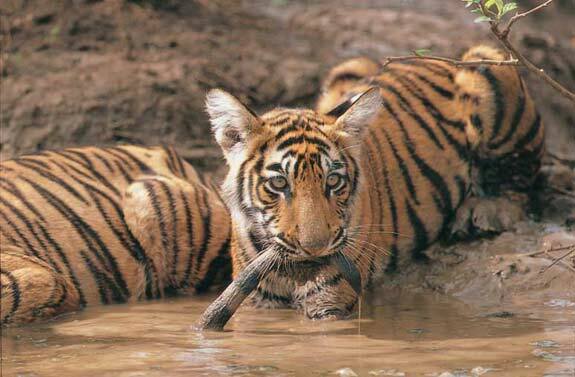 Ranthambore is around 180 kms from jaipur by road. you will be check in into your pre booked hotel. After freshen up and Lunch you will take sightsseing of mejestic Ranthambore Fort, it will take approx two hours to complete, return at you hotel at dusk time , Have a tea & coffee. Dinner and overnight spent in the Resort. An early morning drive to the dense jungle of Ranthambore in a open roof canters or jeeps (subject to availability) for tiger tracking and explore to ranthambore wildlife. The jungle visits lasts for about three hours. Return back to the resort for breakfast and spend the rest of the morning at leisure. There is time to relax and enjoy the facilities of your hotel, maybe take a dip in the pool for a break from the heat of the day. After lunch you will take afternoon jungle safari into the Ranthambore national park for wildlife viewing by canter or Jeep ( Subject to availability). Dinner and Overnight stay at the resort/Hotel in Ranthambore.